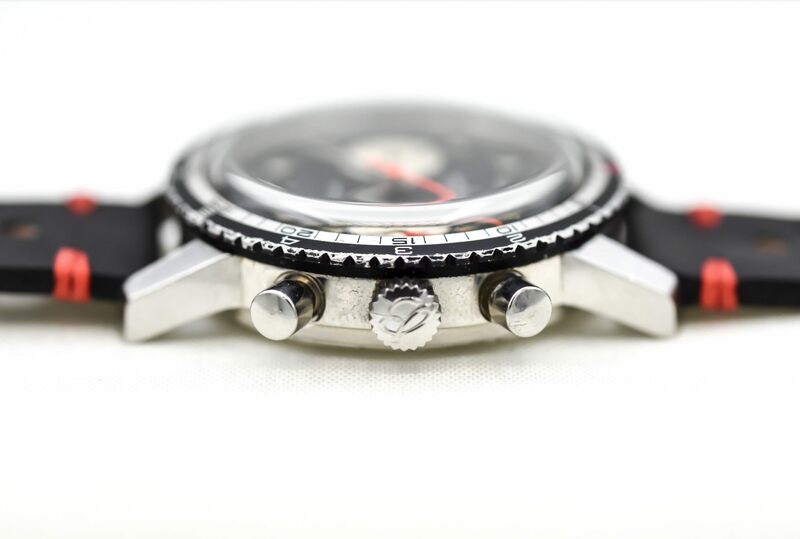 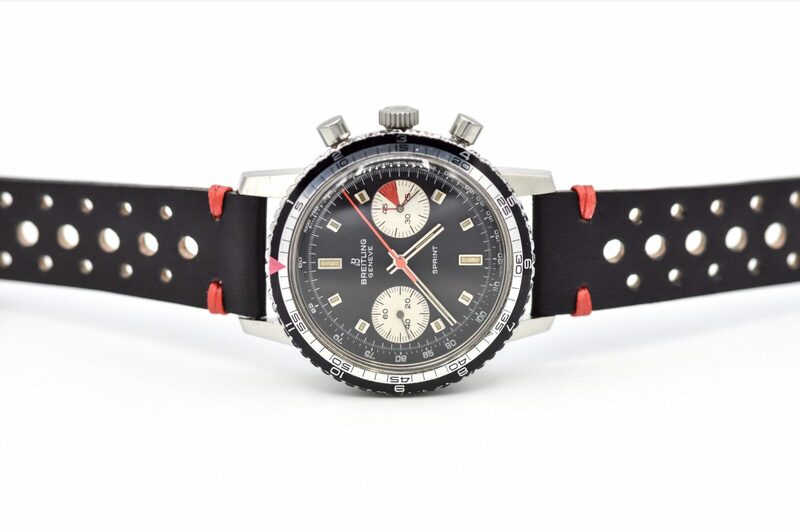 The Breitling Sprint was originally developed by the Swiss watchmaker for use by athletes, with a reliable Valjoux 7733 chronograph movement allowing coaches or athletes to track their times down to the second. The exact year this watch was made is unknown, thought it’s believed to be a 1960s era unit as Breitling switched to a lightweight resin-based case in the 1970s. 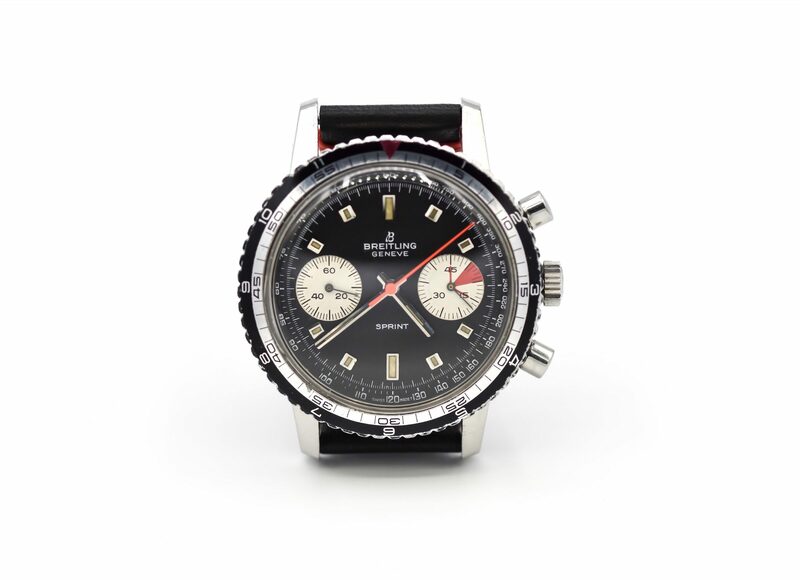 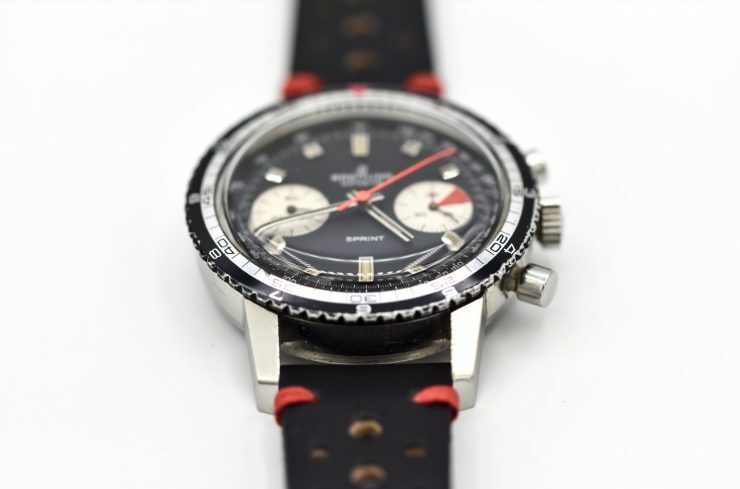 This particular Breitling Sprint was selected by Jason Ruedas, the owner of Rue Watches, who’s made a name for himself as a bit of a vintage watch savant – finding unusual timepieces online, researching their history, and then selling them via his company Rue Watches. 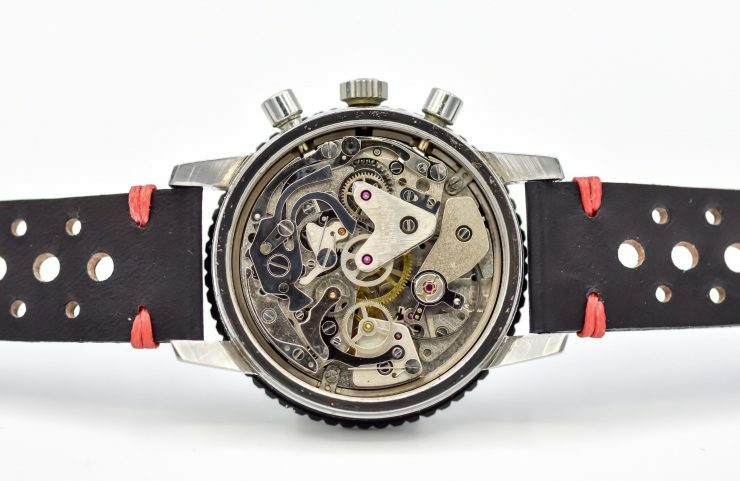 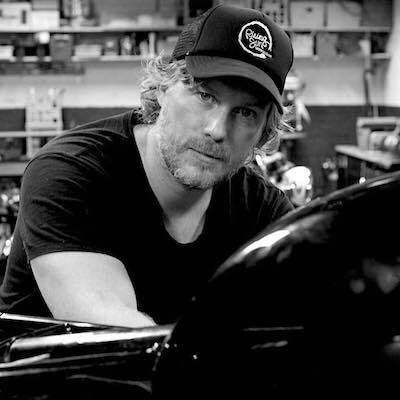 If you’d like to read more about this watch, or see the others that Jason has for sale, you can click the “see more” button below to visit the website.